At High Street, the word foresight best describes our philosophy. We want to help transportation practitioners – including policymakers, managers, budgeteers, planners, economists and engineers - better understand the significance and nature of needs or changes before they occur, so they can act prudently to identify and deploy transportation solutions that best provide for the future. The name “High Street” (the United Kingdom’s equivalent to an American town’s Main Street) evokes the image of a common meeting place for exchange of ideas. Its etymology is rooted in the medieval English term for thoroughfares of consequence that were among the first to be paved. Measure design, target setting, dashboards, performance-driven project scoping, predictive performance tools, risk management, and results communication. Performance-informed, stakeholder-focused, and scenario-driven statewide plans, developed through innovative approaches, which help agencies make better decisions about resource allocation, program structure, and policy changes to improve future transportation system performance. 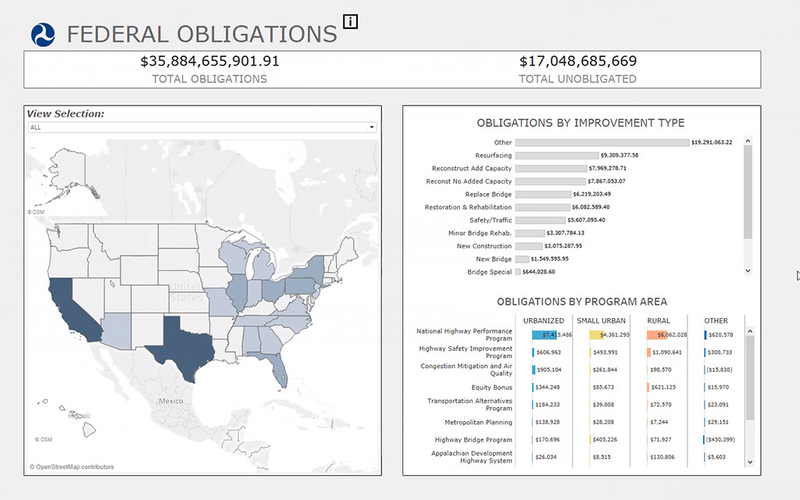 State-of-the-art trade-off analysis tools and processes that use data to help agencies improve outcomes by optimizing allocation of resources among competing objectives. 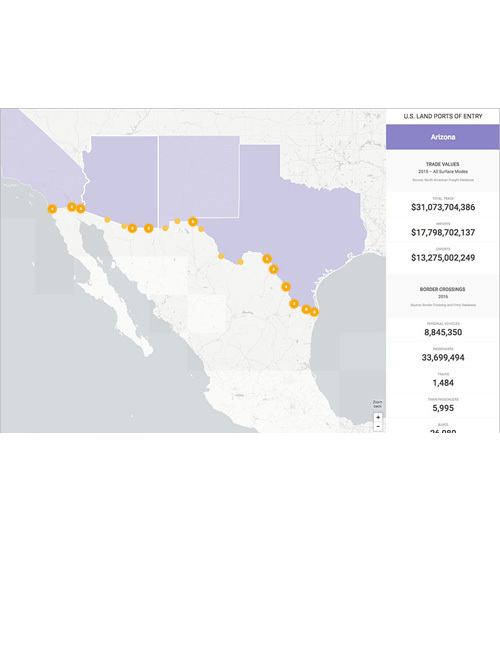 Mining transportation data sets with machine learning, analytics, and advanced statistics to provide powerful insights, predictions, and correlations that help transportation agencies improve efficiency and effectiveness. 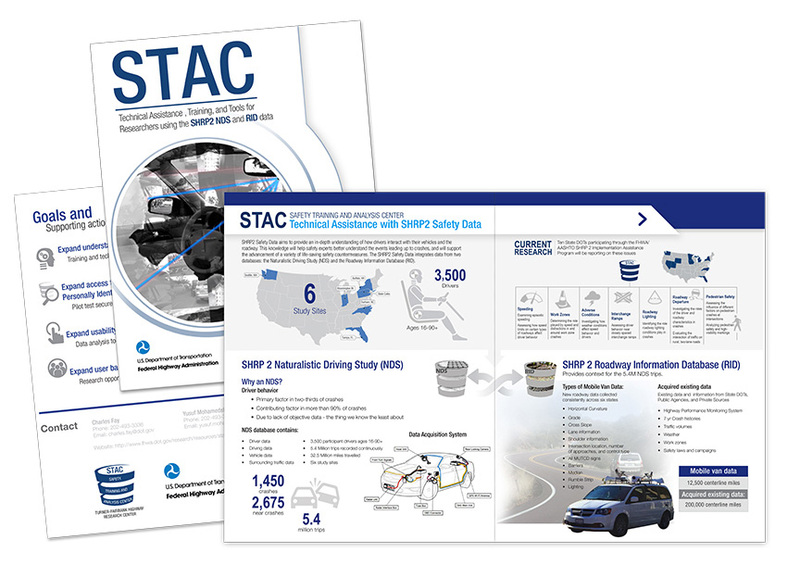 Artfully compelling visualizations, infographics, and dashboards that concisely reveal trends and patterns that shape our transportation world, and help agencies understand and share their data. 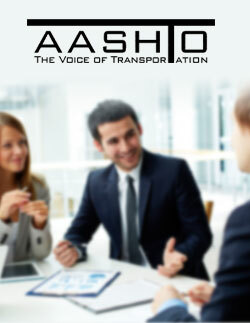 Expert advisory services for transportation leaders who seek guidance on policy development and direction, program design, and legislative changes that can help them build and manage next-generation transportation systems. Plans and analyses to inform funding, financing, and delivery decisions for transportation projects, policies, and programs across all modes. Insightful business process, data maturity, and management practice reviews coupled with development of creative solutions that provide agencies with both a broad understanding of the organizational challenges they face and clear road maps for addressing them. High Street Consulting Group is a small firm of experienced professionals who work in the disciplines of planning, finance, data analysis, policy, economics, and communication with the goal of helping clients plan, finance, and deliver transportation projects, policies, and programs. We are always on the lookout for professionals with a strong interest in these themes. If you are interested in working on these issues in a collaborative and stimulating environment, please contact us at careers@highstreetconsulting.com expressing your field of interest. 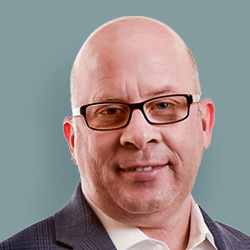 Craig Secrest is a big picture thinker who enjoys exploring and developing solutions to the organizational, institutional, policy and process challenges that prevent transportation agencies from achieving their full potential. Craig is a founding Partner of High Street and has over 25 years of transportation experience, including early career positions with FHWA and the Colorado DOT. 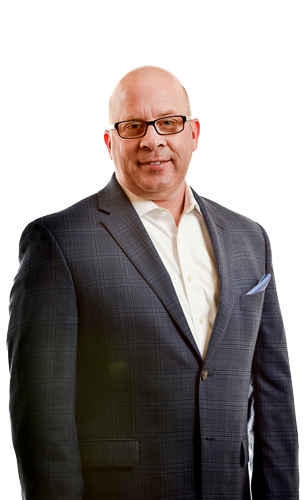 During his 20+ years as a consultant, he has provided strategic, business process, policy development, and organizational management consulting services to a diverse range of clients that include FHWA, TRB, State DOTs, MPOs, and international development agencies. 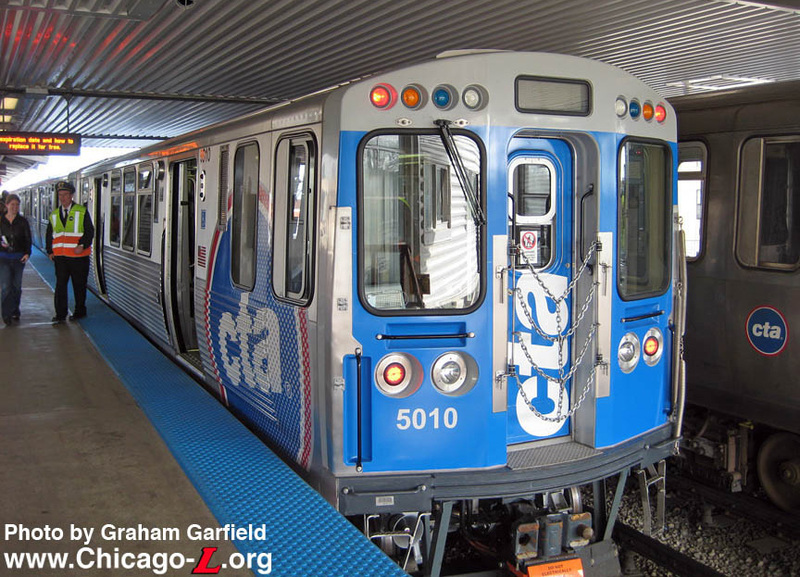 Craig’s forte is developing comprehensive yet simple frameworks for considering and explaining the often complex and confusing array of considerations that drive transportation investment decision-making. In his spare time, Craig can be found playing squash, biking and skiing with his two sons, or enjoying the solitude of fly-fishing the Colorado River, preferably followed by a good bottle of wine. 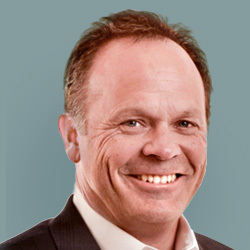 Jeff Carroll understands that while transportation is a simple idea, today’s vast, interconnected and multimodal transportation network demands forward-thinking to keep people and goods moving efficiently. Jeff is among those at the forefront in driving state DOTs and MPOs to develop innovative plans, projects, programs, and policy solutions. 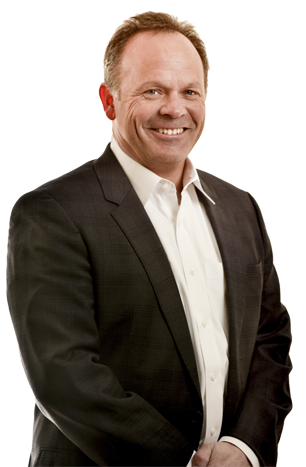 Jeff recognizes the value of innovation - that through innovation we can develop new and creative solutions. Jeff’s national perspectives on innovation combine proven disciplines with fresh, nimble techniques. 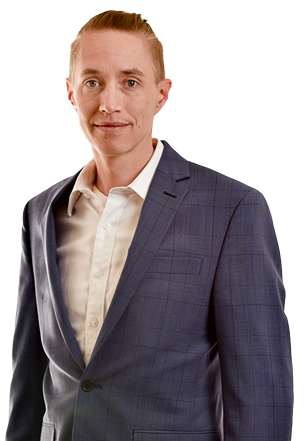 From framing the challenge, uncovering and synthesizing policy impacts to developing and creating innovative ways to analyze data, Jeff’s acuity, creativity, passion, and expertise elevate both the experience and the results of the projects he delivers. 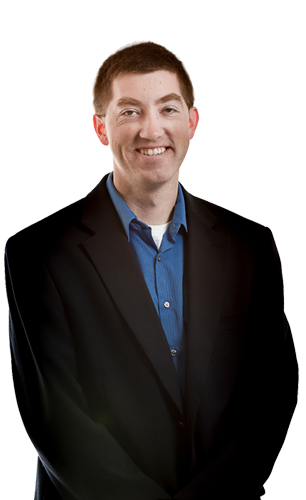 Outside of work, Jeff enjoys golfing, deer hunting, and spending time with his wife and two teenage daughters. 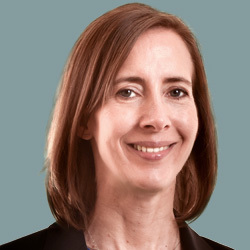 Karin DeMoors is an accomplished financial analyst who has focused her over 20-year career on assembling the puzzle pieces of financial plans for a range of public infrastructure projects. As a Partner with High Street, she serves local, state, and national governmental clients in identifying, evaluating, and implementing revenue streams and financing approaches for transportation investments. 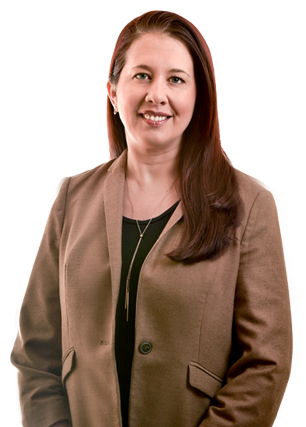 In a prior career position, she expanded her expertise in capital project finance and actively assisted municipal clients with bond issuance execution, debt management, and credit analysis. Karin finds her greatest motivation in finding financial solutions that advance our transportation system and improve communities. When not analyzing dollars and cents, Karin can be found working with dog rescues or dreaming of her next foreign excursion. Anna Batista wants to help you make sense of the endless information coming at you. Whether it's to select and implement solid performance measures, comply with the minutiae of government regulation, pick the best projects, build the best plans, or get your stakeholders to take notice of your successes, she's ready to dive into data, reports, and technical details to unearth valuable knowledge. 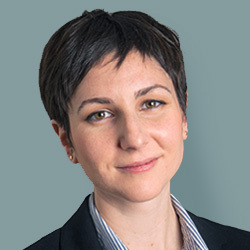 Anna is a graduate of Carnegie Mellon’s quantitatively driven Heinz School of Public Policy, and has worked for federal, local, and private sector employers. 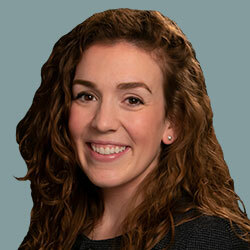 Anna's favorite parts of life at High Street are getting creative with Excel visuals, landing on that just-right performance measure, and answering your questions about federal performance management regulation. Outside of work, Anna can be found on the monkey bars with her children, advocating for good governance, Tweeting at local politicians, and hosting brunches with her husband. Seemeen Hashem has extensive experience in graphic and web design. In her past positions as the Creative Director and Founder of Aqueous Studio and as a Visual Information Specialist at the International Monetary Fund, Seemeen has developed a talent for transforming data into graphics that communicate and inform. She has served in an adjunct faculty role at the School of Art and Design at Montgomery College and her work has been seen in U.S. News & World Report and the Washington Post. When she’s not designing or visualizing data, she’s hosting house concerts and creating her assemblage art. Seemeen and her husband's daughter is a recent college graduate from American University and their son will be starting his sophomore year at Belmont University. In her free time Seemeen enjoys bike riding, tennis and planning the next family vacation with her family and two dogs. Brittany Gernhard likes to translate numbers into plain English. 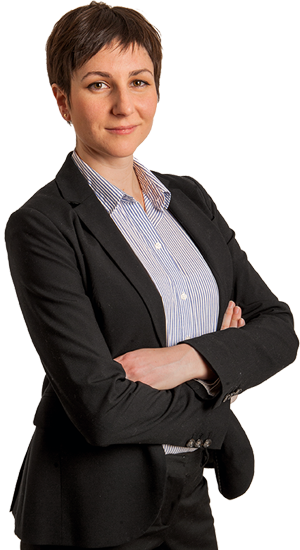 She knows the value of using data to inform action and has used her quantitative training in public policy to help clients make difficult decisions. She saw wildly imaginative possibilities in transportation safety and efficiency become reality while working at Carnegie Mellon University's Transportation Center. In 2015, she joined High Street and is thrilled to be supporting clients as they leverage data to reach lasting solutions for the transportation systems they manage. Outside of work, Brittany can be found road tripping with her husband and son, cooking something reckless in her kitchen, and singing to her brand new son. At High Street, Mark is leading the way in bringing the best of private sector data mining and data science techniques to the transportation world, helping agencies extract insights from data using machine learning, statistical methods, and interactive visualizations in novel application areas. 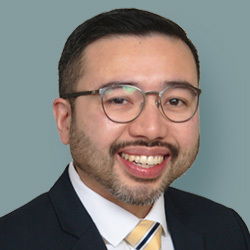 His recent work includes developing a travel time reliability forecasting methodology with multiple state DOTs, helping a client DOT attract more bidders to its projects through statistical analysis of historical bid data, and supporting and promoting cross-asset performance-based planning. 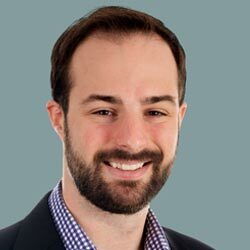 A former operations executive and entrepreneur, Mark pivoted to data science via a master's degree program in business intelligence and data analytics at Carnegie Mellon University's Heinz College, named by INFORMS as the top analytics education program in the world. From his home base in Bozeman, MT, Mark is an active ultrarunner and ski mountaineer. Although it may be because of his alleged Chicago accent, people often wonder if Kevin’s true first language is data. Dr. Ford has spent his career empowering customers to make data-informed decisions, optimize performance outcomes, and effectively communicate the implications of different strategic policies. 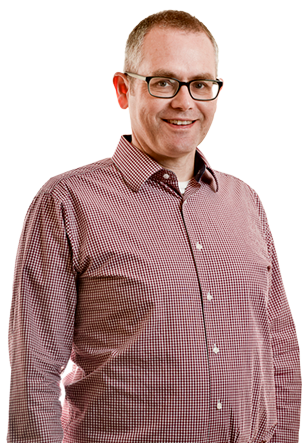 With a background in performance-based planning & programming, engineering, and asset management, and having worked in both professional services and software development, Kevin brings a unique perspective to his customers while always striving to advance the state-of-the-practice. 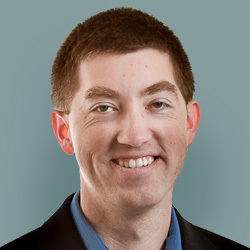 Over his career, Kevin has helped publish guidebooks for the National Academies, developed custom analytical tools based in data science principles, and led various long- and mid-range transportation plans by leveraging his subject matter expertise in predictive performance modeling, project prioritization, and cross-investment resource allocation. When not changing diapers or battling with his two rescue dogs for bed space, Kevin can be found running around the neighborhood or attending soccer matches with his better half and baby girl. 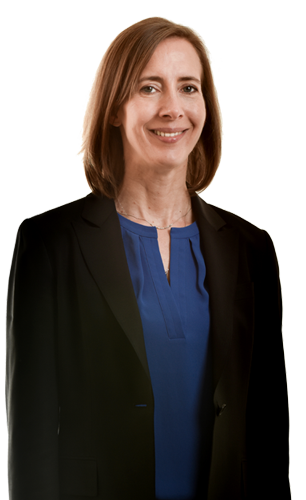 Michelle Conkle is a dedicated student of both the art and science of transportation with over 25 years of experience in transportation planning, programming, research, policy analysis and environmental resource management. She understands that broad-spectrum consensus for a shared vision, a multi-objective performance-based approach to alternatives analysis, and the alignment of planning goals with funding strategies are a powerful combination that create opportunities for local, state and national decision-makers and stakeholders to optimize investments to deliver the best transportation projects and services to system users. Michelle spent nine of the best years of her life in college earning degrees in History, Political Science and Geography, but she also enjoys teaching. 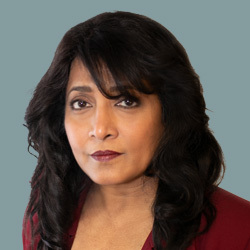 She has created training manuals and instructed courses on planning, data analysis, NEPA, and Air Quality Conformity for DOTs, MPOs and elected officials. She enjoys guest lecturing for graduate programs at UT Austin’s LBJ School of Public Affairs, Texas State University and Prairie View A&M. Michelle is a huge fan of Longhorn athletics, teamwork, good books (any genre), clean drinking water worldwide, animal rescue shelters, PBS and downtime with her huge family that includes two dogs and four cats – all rescued from shelters in Central Texas. Jody Al-Saigh loves being organized. As High Street’s Business and Administrative Manager, she keeps the rest of the firm organized too. 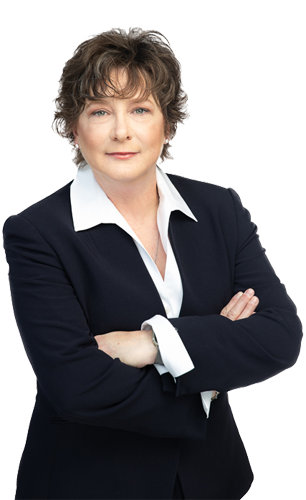 Jody has managed her own personal organizing business since 2008 and also has over 20 years of experience in production design and layout. 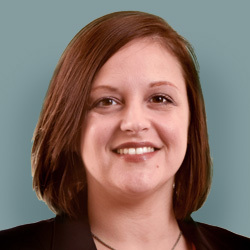 At High Street, she serves as the in-house lead for all copy-editing, proofreading, layout and formatting of proposals and reports produced by the firm in addition to routine administrative assignments. 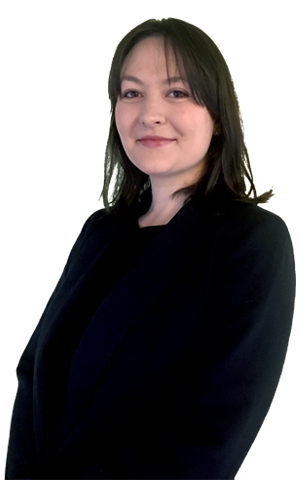 She also works with clients on document editing, fact checking, proofreading and project management. She is proficient in file and digital task management on Mac or PC platforms, including Microsoft Office Suite and Adobe Creative Suite. Personally, Jody enjoys outings with her two kids, volunteer work for her sorority, sunny days at the dog park with her coonhound, and cheering for the Washington Capitals hockey team. Larry Chan is an expert in financial analysis and data modeling. 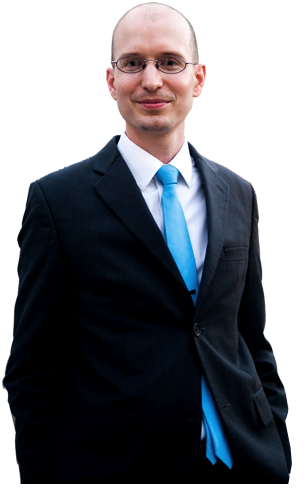 As an advanced user in Excel, Access and ArcGIS, he is able to improve workflow and efficiency. As a project manager, he translates those improvements into tangible accomplishments. He has overseen the successful completion of various projects ranging from the financing of multi-million-dollar real estate developments to the creation of databases that compile, aggregate, and analyze data supporting long-term planning. He successfully acts as the go-between with technology specialists and end users. Larry is constantly looking to learn and develop a deeper understanding of ‘how things work.’ When not indulging his own curiosity, Larry enjoys finding creative ways to engage the boundless curiosity of his two young daughters. 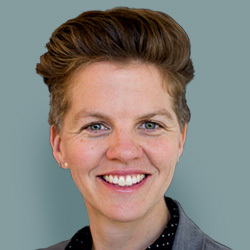 With experience that combines engineering design and construction with transportation planning and policy, Erin Dean brings a unique understanding of transportation to High Street. 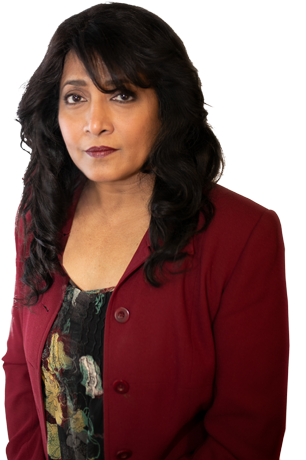 She has worked with private consulting firms for over 13 years, providing support on projects from plan development through the construction of projects. Specific experience includes highway design, stormwater management design, long range transportation plans and freight plans. 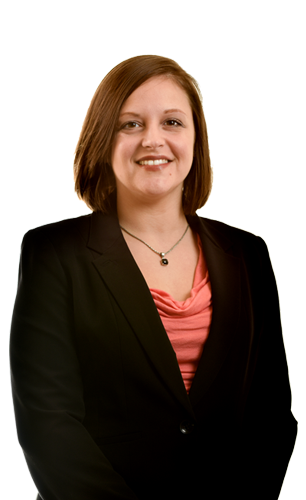 Erin enjoys using her technical expertise and understanding to help inform plans and bring a sense of practicality to the planning process and strives to assist clients with meeting their transportation system goals. When she’s not working, Erin enjoys the art of dance, bicycle rides with her family and quality time with her three children. 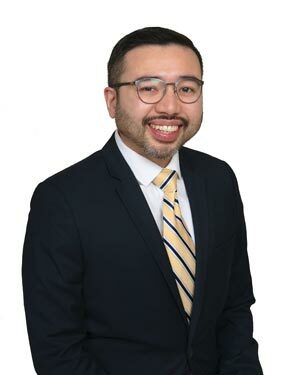 Peter enjoys connecting the insights of data analysis with transportation decision making. 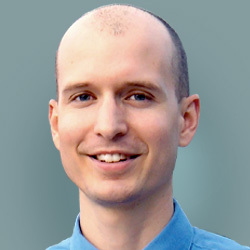 With nearly 10 years in the field, he focuses on understanding cause-and-effect relationships connecting trends and decisions with system-wide outcomes. Peter combines policy and on-the-ground experience as a civilian Army logistician with an analytical focus from his Georgia Tech research background. He has examined transportation from the scale of a single project to national and even global phenomena, and his past work has included clients such as state departments of transportation, city governments, private companies, and federal research programs. Peter is particularly fascinated by the paradigm changes that alter fundamental assumptions about travel. As one example, he investigated transformations in logistics networks precipitated by the growth of e-commerce, as well as suitable forecasting methods and data collection efforts. When not studying transportation and reading up on trends, he loves cycling, studying history, and learning how to cook foreign cuisines. 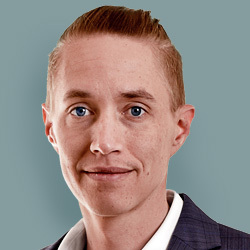 Krista strives to improve the work of organizations and systems to function as efficiently and equitably as possible. 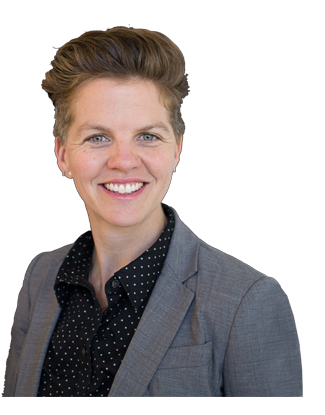 With a background in education, program development, and policy analysis, Krista applies a careful and critical lens to understand and diagnose diverse problems. 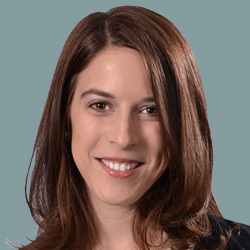 As a graduate of Carnegie Mellon University’s Heinz College, Krista employs her research and organizational skills to deliver high-quality and data-driven insights to the High Street team and its clients. 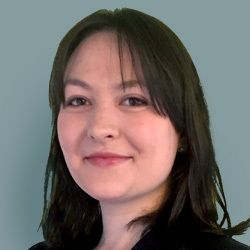 Prior to joining High Street, Krista supported the creation of a platform that classifies data for improving the performance of autonomous vehicles. Additionally, she researched the political and geographic viability of expanding utility-scale solar power in the Southwestern Pennsylvania region. Outside of work, Krista adores spending time hiking and trail running with friends, painting, and exploring the many treasures and troves of Pittsburgh. Always interested in transportation, planning and city operations, Rob heads to High Street after spending 2 years in data visualization, analytics, and process improvement on the Department of the Treasury’s Data and Analytics Team. Before that, he taught high school mathematics and sexual education with the Peace Corps in the rural mountain state of Southern Africa’s Lesotho (Luh-Soo-Too). 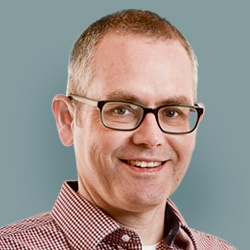 Rob hopes to continue to simplify processes and use data to make meaningful and informed decisions through clear intuitive visualizations and simple, but sophisticated, methodology. 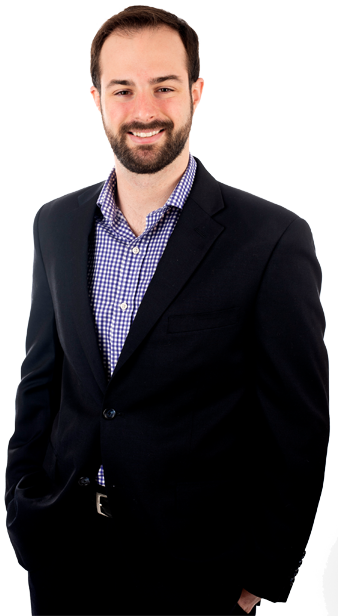 Always the avid learner, in his spare time, you can find Rob in the Washington DC area trying to teach himself something new about cooking, gardening, rock climbing, Italian, and photography. 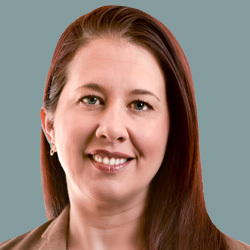 Rebecca Van Dyke grew up in the “V States.” She’s originally from the Blue Ridge Mountain region of Virginia, but has spent most of her adult life in Burlington, Vermont. She recently moved back to the South to attend the School of City and Regional Planning at the Georgia Institute of Technology where she just earned her Master’s degree. 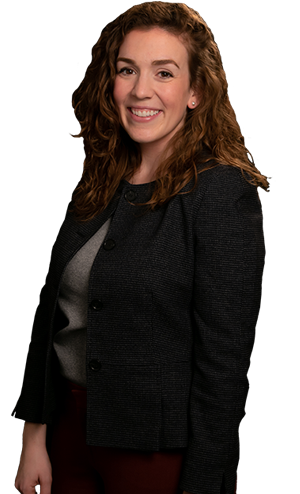 Rebecca serves as the Region II Representative on the American Planning Association Student Representatives Council Executive Committee, a position she will hold through December 2019. 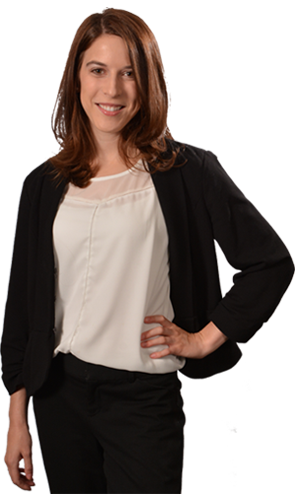 Rebecca is a planning generalist with a special love for equitable and sustainable transportation. She got her start at a small car-sharing non-profit where she developed a passion for helping people get around. She joined High Street in June 2018 and is excited to meet with clients near and far while applying her recently acquired R, GIS, and data visualization skills. Rebecca is a mountain biker, artist, dancer, explorer, and cook with extreme wanderlust (love, actually). Her current list of favorite things include tomato and mayo sandwiches, sharp pencils, Zadie Smith, roaming cities, and talking to strangers. Victoria comes to High Street with a background in urban planning, policy analysis, and community-oriented program implementation. A graduate from Carnegie Mellon University’s Heinz College, Victoria plans to use her Master of Science in Public Policy and Management degree to leverage data for impactful, sustainable change. Victoria believes in the power of data analysis and visualization to facilitate effective communication and lead to better-informed decisions. 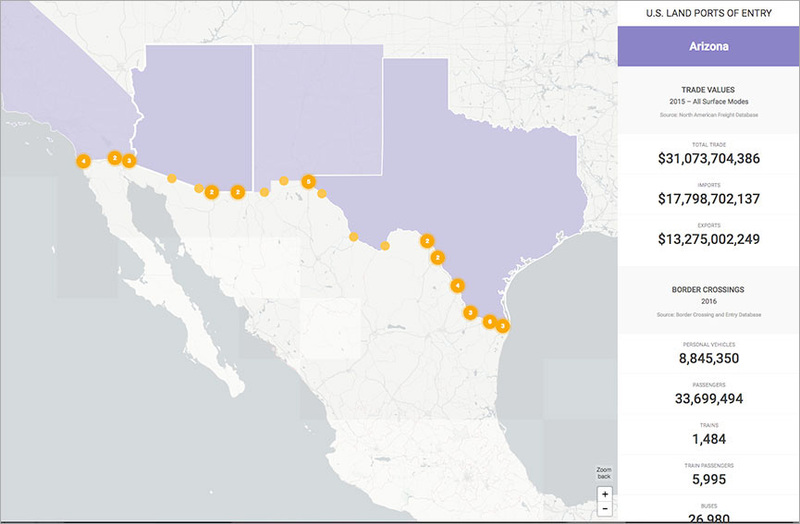 While at Carnegie Mellon, Victoria helped design and develop a free data visualization tool that shares data-driven stories of human impact over time. She has also contributed her analysis and visualization skills to nonprofit journalism focusing on regional policy issues in Pittsburgh. When she is not working in Tableau, R, ArcGIS, or Adobe Design Suite, Victoria is teaching herself piano and taking as many yoga classes as her schedule allows. 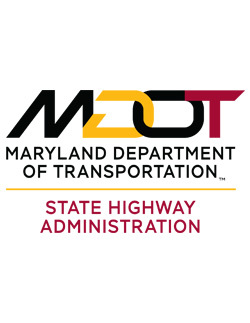 High Street has helped Maryland DOT’s State Highway Administration (SHA) prepare for and implement federal transportation performance management requirements. 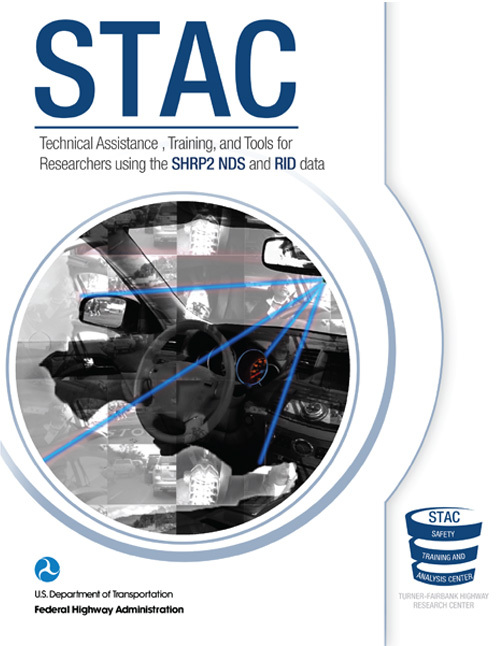 Our work included analysis of rule language, creation of a ‘road map’ to guide critical activities, coordination of internal staff responsibilities, assistance with data handling, aid in coordination with Maryland’s MPOs, many of which cross state boundaries and production of brochures, newsletters, and website content to assist in information sharing. 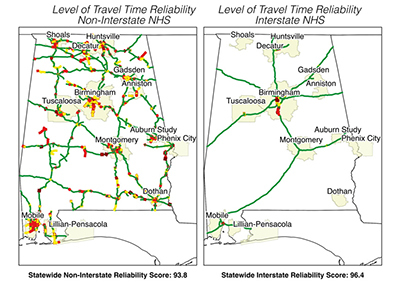 High Street also provided data analytics assistance for use of congestion data (NPMRDS) in setting baseline measures and targets for federal travel reliability measures. This guidebook and a companion digital performance benchmarking platform prepared by High Street for NCHRP show transportation practitioners how to use benchmarking to help continuously improve their agencies by comparing performance outcomes among peers via compatible measures and data as part of a wider organizational culture that embraces performance management. 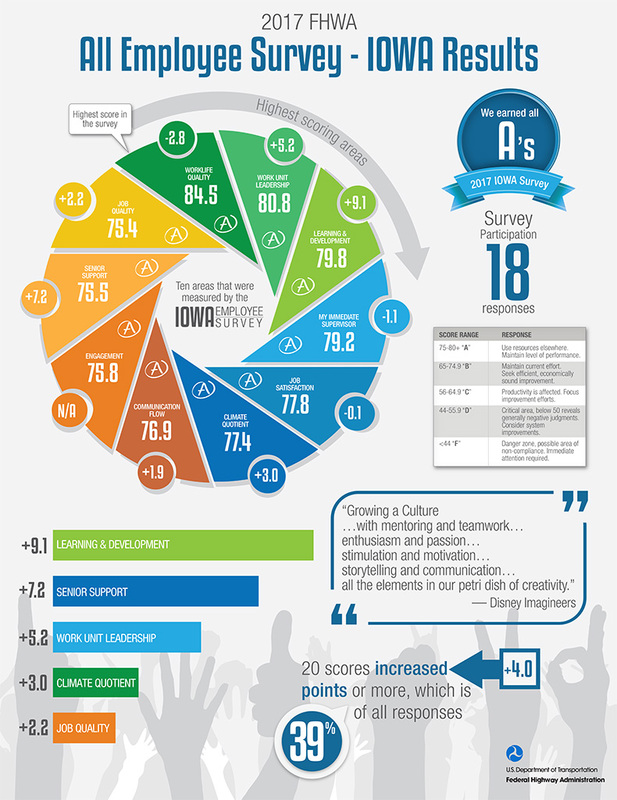 Benchmarking gives valuable context to individual agency performance results. 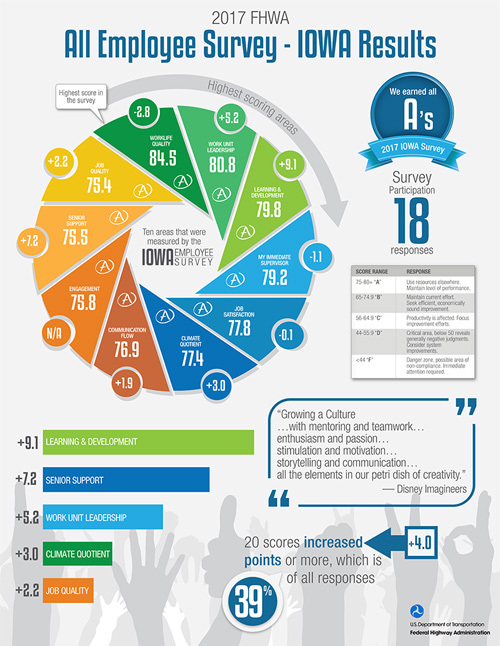 Done right, it reveals noteworthy improvement opportunities and motivates group-wide advances in performance. 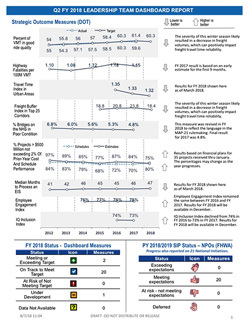 A web tool companion to the guidebook helps agencies find appropriate peers, compare performance across selected measures, and most importantly, connect with other practitioners to share what works for improvement. 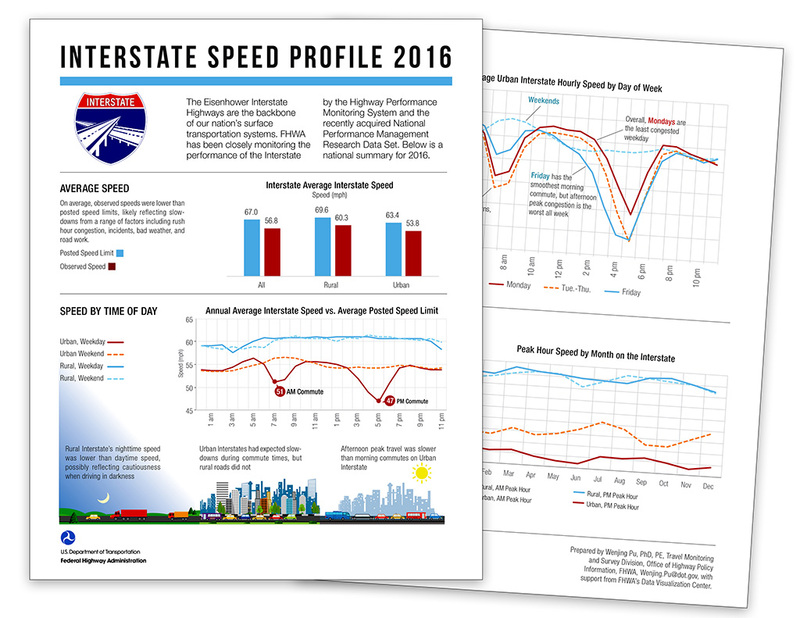 High Street assisted ALDOT with calculation, target setting, and reporting for the state’s FAST Act highway system performance measures. 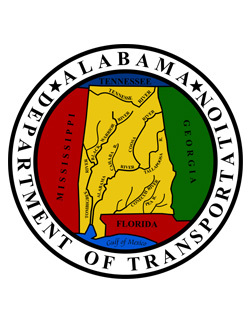 Our work included writing and implementing processing scripts and statistical methods to calculate ALDOT’s performance measures (combing five data sources and 100m+ rows of travel time data), and pioneering a new methodology for forecasting future performance based on planned capital program investments. 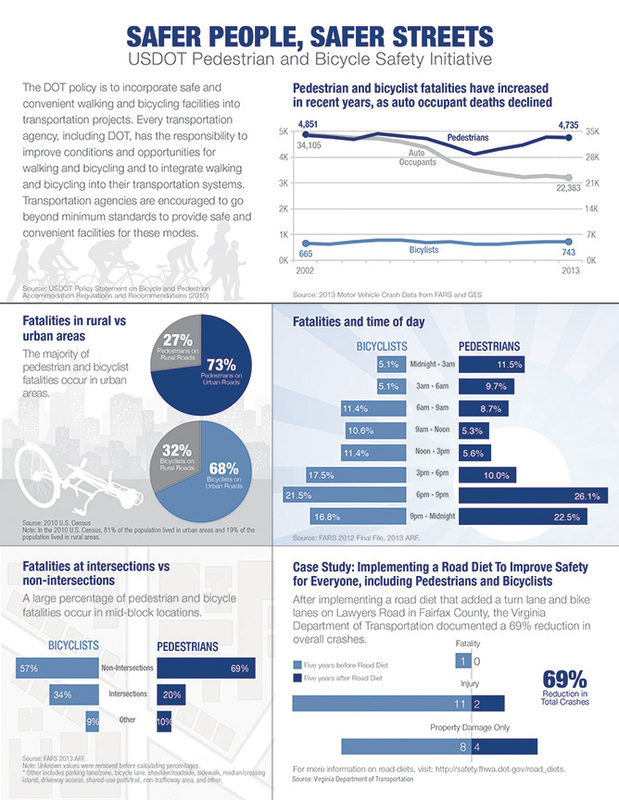 High Street developed three guidebooks for state DOTs and Metropolitan Planning Organizations (MPOs) that support implementation of transportation performance management. 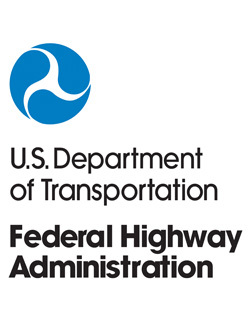 The guidebooks are bridge for helping states and MPOs understand FHWA’s 2017 rule language on pavement and bridge condition measures; and for system performance, freight movement and air quality (CMAQ) measures with established state and MPO-led performance management, long-range planning, and programming practices. They provide a mix of practical insights, best practices, tips and case studies. 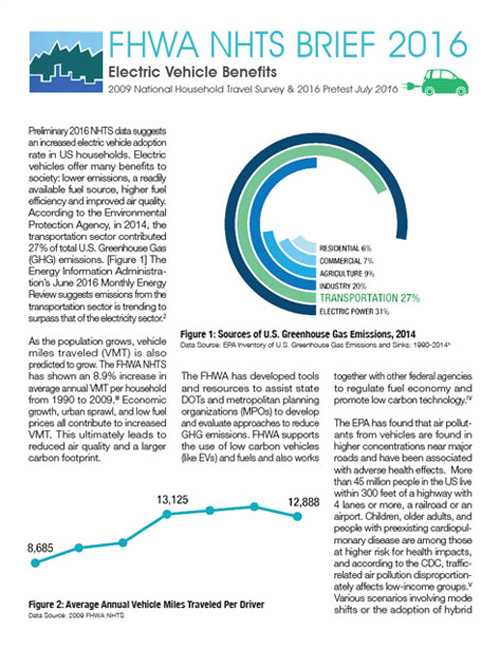 The High Street team gathered nearly 200 environmentally focused measures after extensive research and discussions with transportation practitioners. All measures were evaluated against a set of six criteria to identify those with the most promise. The measures spanned five major focus areas that included Air quality, Energy and climate, Materials recycling, Stormwater, Wildlife and ecosystems. 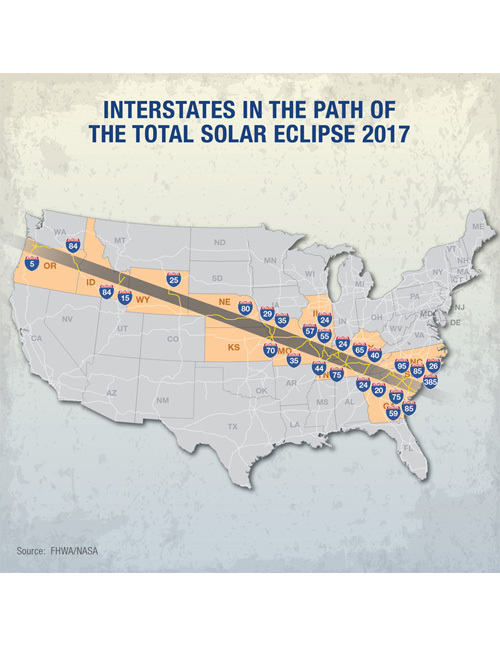 Each of the report’s recommended measures was tested with real data from state DOTs across the country, and further evaluated against four additional criteria. 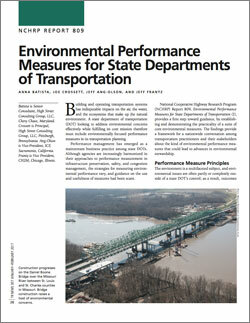 The result is a suite of core environmental performance measures designed to help state DOTs better understand and communicate the impacts of transportation on the environment. 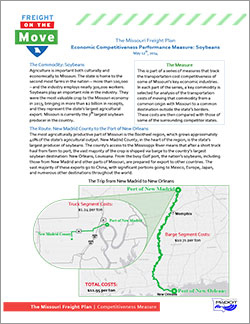 High Street helped Missouri DOT and its freight stakeholders tell fresh, interesting, and data driven stories about the how the economic viability of several Missouri-based industries – from agriculture to manufacturing – depend directly on transportation. 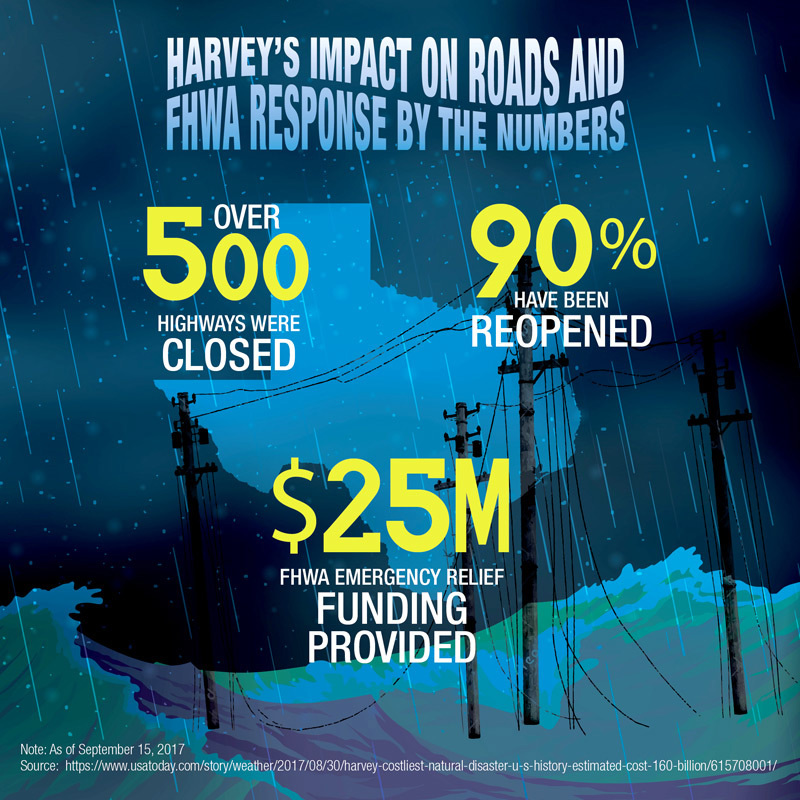 Please click on the image to read about the results of our work. 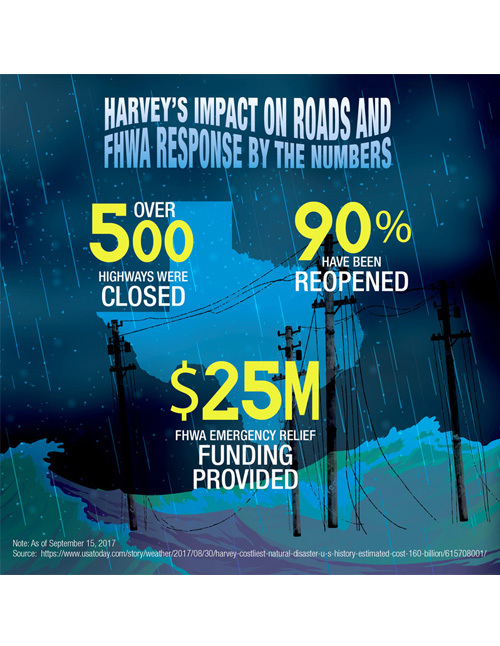 High Street conducted a full economic assessment for each of FHWA’s three separate performance measure rules that analyzes the potential costs and benefits of the rule. 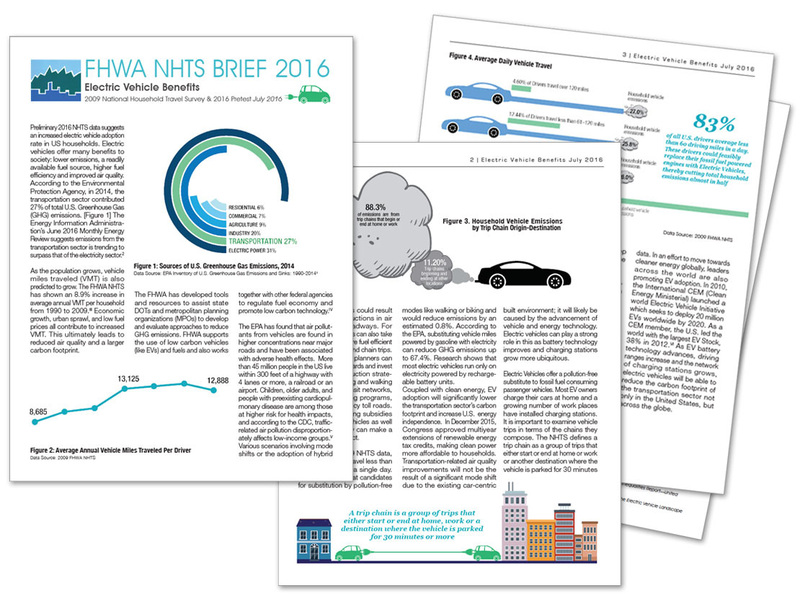 High Street developed written materials, data analysis, summaries, fact-sheets, and graphics all designed to streamline performance reporting at FDOT by using cleaner, simpler words and charts to convey critical messages buried in data. 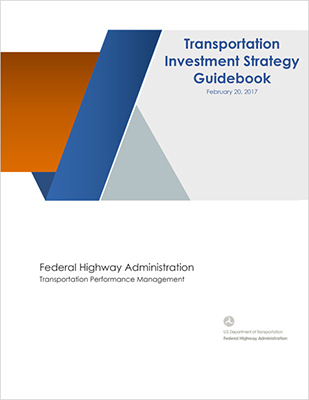 As part of the preparations for the round table, High Street developed a read-ahead white paper that defined the steps of performance-based planning and programming and presented a straw man approach for how FHWA and FTA would need to change their roles and policies with respect to each step. High Street also facilitated several elements of the round table discussion and supported the development of a round table proceedings document. 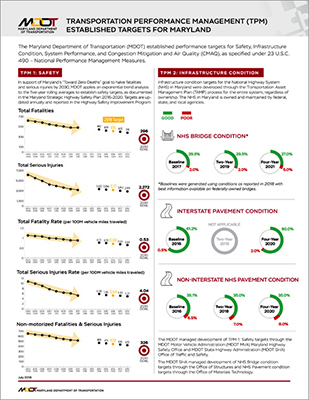 High Street compared the performance of 39 state DOTs in delivering transportation construction projects within their originally anticipated cost and schedule. 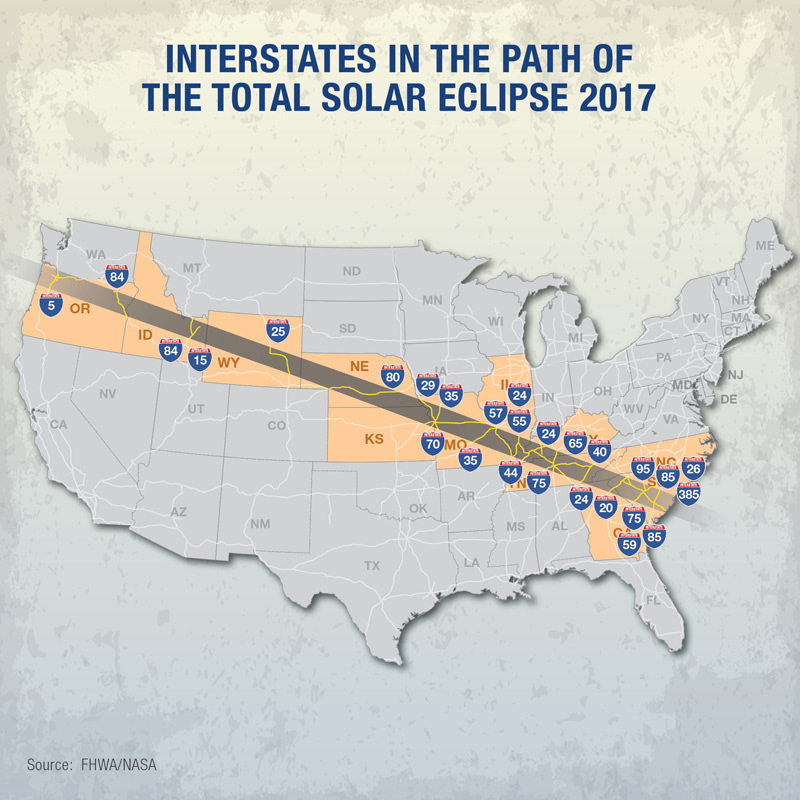 The study examines each state’s performance track record for all projects finished over a period from January 1, 2001 to June 30, 2010. 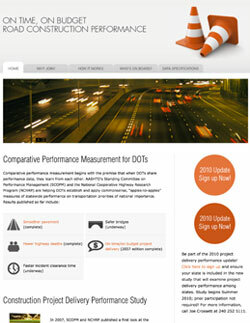 Typical projects included in the analysis span the full range of a DOT’s activities including operations work, such as installation of ITS devices or traffic signals; maintenance activities, such as guard rail installation or striping; pavement preservation work, such as resurfacing; bridge preservation work, such as deck replacement; and capacity additions. A major work product of the study is a user-friendly web database that participating states can use to review their results. High Street recently completed the Arkansas LRITP, which is the state’s first performance-based long range plan. 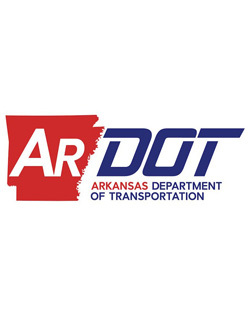 Performance-based planning will help the Arkansas Department of Transportation (ArDOT) as it evaluates and prioritizes projects and programs, and develops performance reports to track progress. 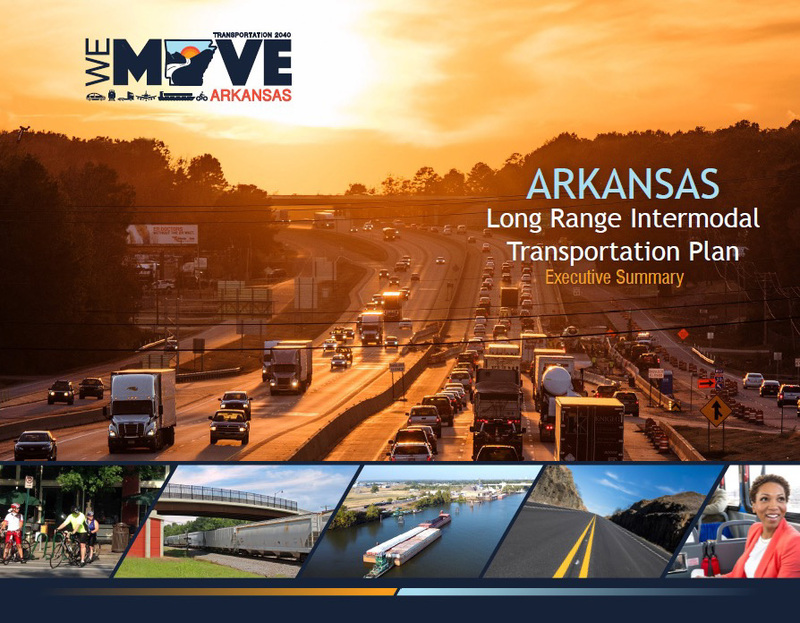 The LRITP is a comprehensive document that details goals, objectives, policies, investment strategies, and performance measures which will guide future transportation investments to move Arkansas forward. 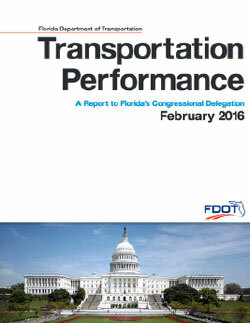 It examines all aspects of the state’s multimodal transportation system, including highways, bridges, public transportation, rail, bicycle, pedestrian, ports, waterways, and aviation. 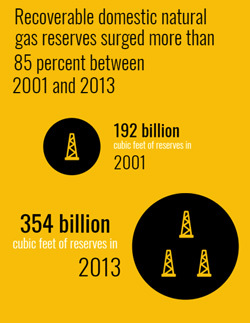 The LRITP identifies and explores the potential outcomes of four alternative future scenarios. 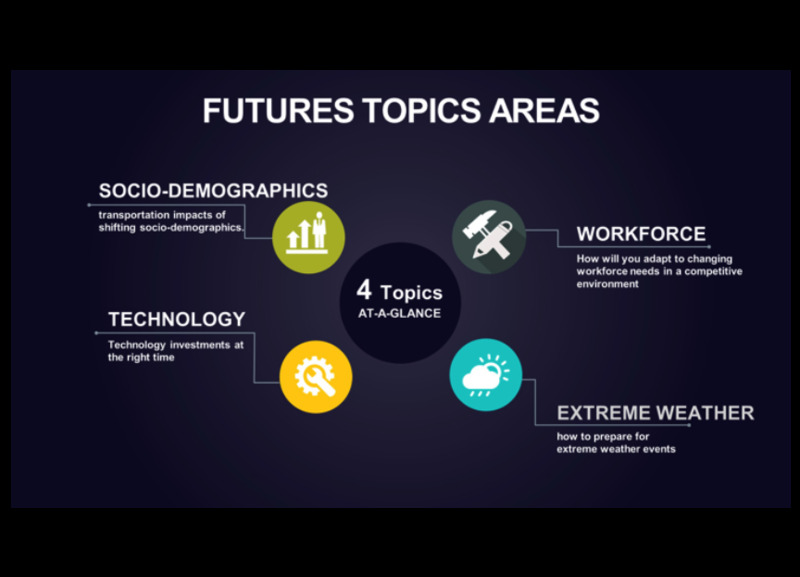 The four alternative future scenarios reflect different priorities, expected outcomes, and investment levels based on the 25-year baseline revenue forecast. Four alternative future scenarios were selected to understand the trade-offs, consequences, and outcomes of potential planning scenarios representing changes in travel and investment decisions. 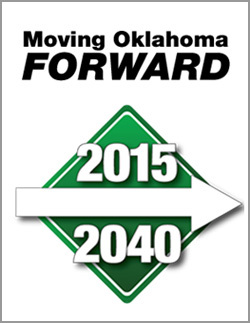 Comparison of these alternative future scenarios helps the Department better prepare to meet the strategic goals of stewardship, quality of life, and economic development. The final outcome of the LRITP is a plan and process that will provide the framework for ArDOT to move forward in concert with the Department's Strategic Plan to set priorities through a performance-based, data-driven decision making process. 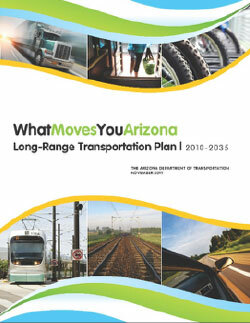 High Street recently completed the 2040 Arizona Long Range Transportation Plan named What Moves You Arizona (WMYA). 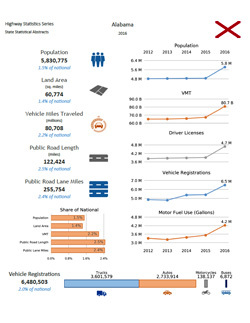 Development of the plan included research on trends and issues affecting transportation in Arizona, refinement of Arizona’s transportation vision and goals, an assessment of current state highway system (SHS) conditions, quantification of 25-year investment needs to maintain and improve the SHS and provide state support for non-highway modes, and a forecast of expected revenues over the planning horizon. The planning process also included an extensive engagement process that provided Arizona residents and transportation stakeholders across the state multiple opportunities to offer input into development of the plan. 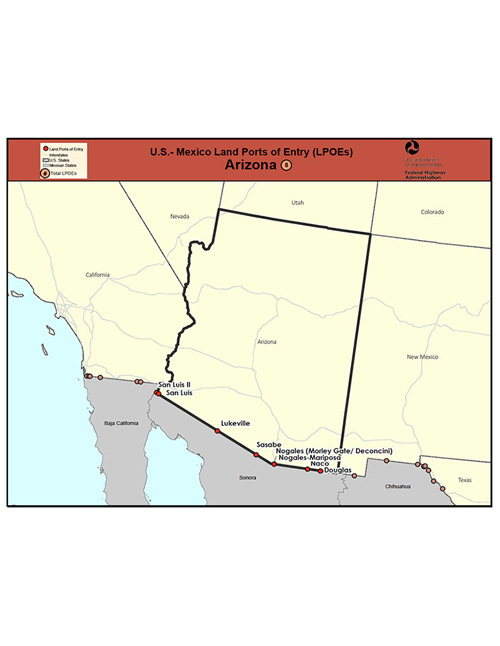 Most importantly, the plan provides a Recommended Investment Choice (RIC) that defines how the Arizona Department of Transportation (ADOT) will strive to allocate its limited resources to different types of highway investments. 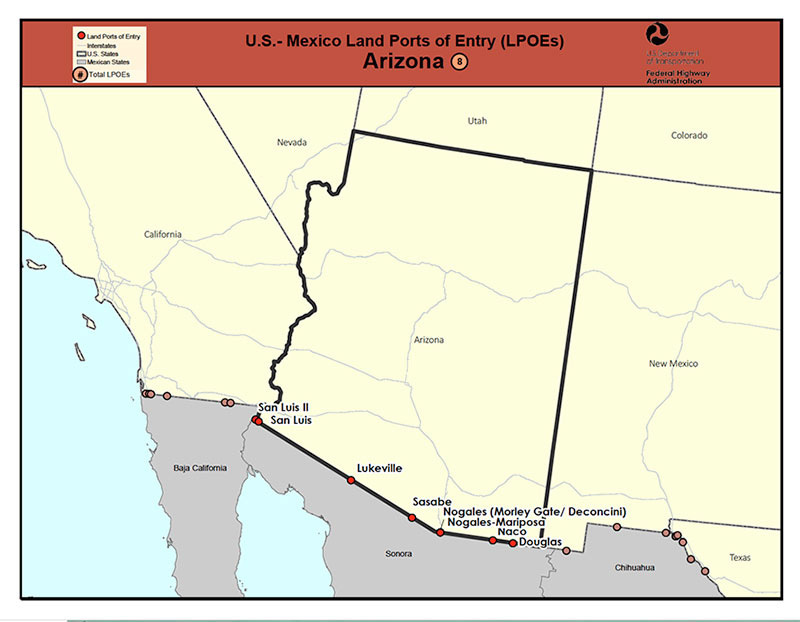 ADOT sought to expand the consideration of anticipated system performance in the development of WMYA 2040 policies and to involve stakeholders in the analysis of investment trade-offs. To do so, High Street conducted a technical workshop in that used a cutting edge software application called Decision Lens to facilitate a discussion about what the WMYA 2040 RIC should look like. 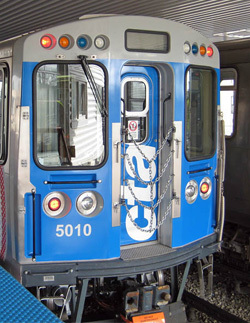 The findings from the workshop influenced the development of a draft investment strategy, based on insights from a diverse body of transportation agency experts. Workshop participants provided an important perspective on how ADOT should allocate its resources among the investment categories of preservation, modernization and expansion. 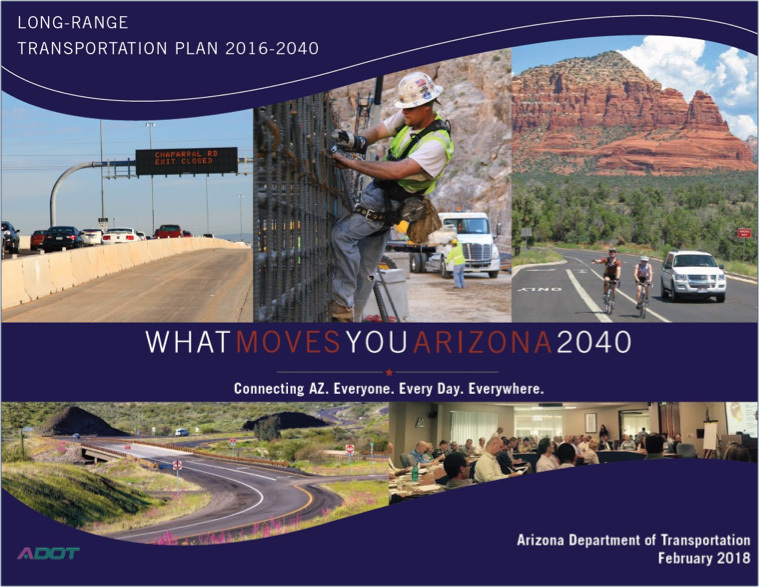 The plan is intended to drive future refinements to ADOT’s performance-based project selection processes and inform decisions about state highway investment levels associated with system preservation, modernization and expansion. 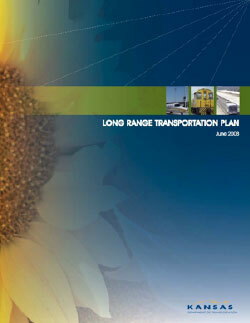 High Street led the technical tasks associated with updating Missouri Long Range Transportation Plan. The 2018 LRTP update is different from past LRTPs in three important ways. 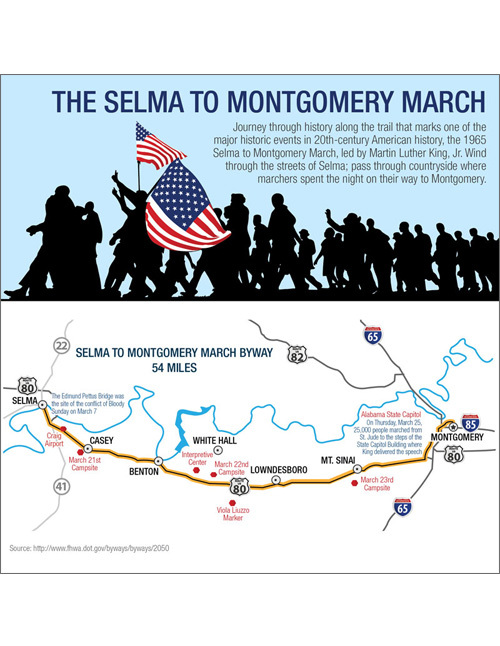 First, it utilized online public outreach methods to gather input. This approach was a cost-effective and generated significant feedback. Secondly, it confirmed the accuracy of previous goals and added a new goal. Finally, the Missouri Department of Transportation (MoDOT) convened a statewide conversation on the impact of future technology and what it might mean for important factors like safety and infrastructure investments. 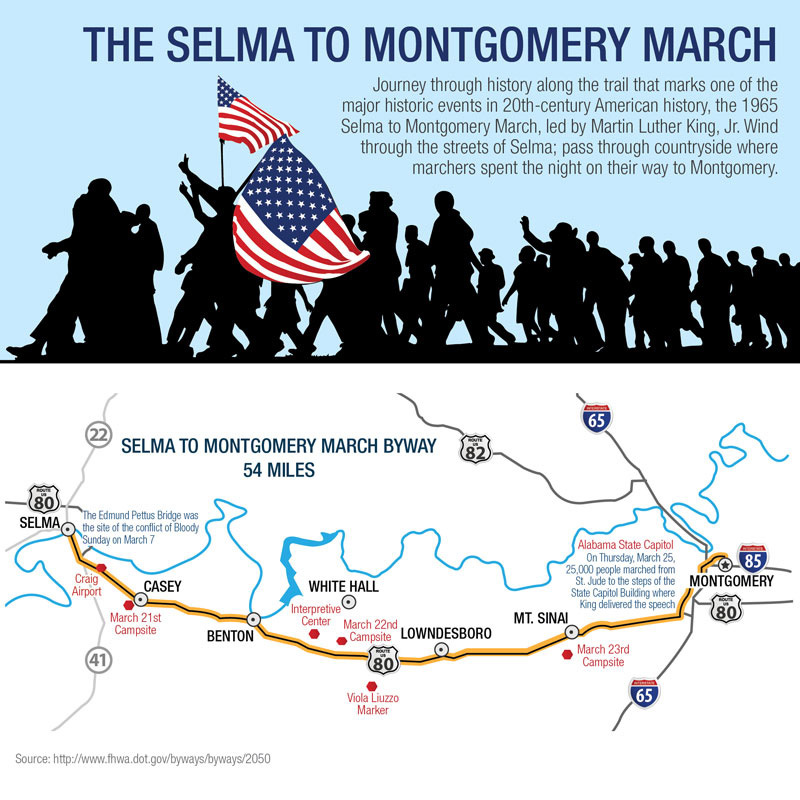 MoDOT has a long history of involving citizens in making decisions about the state’s transportation system. This public outreach process involves citizens from start to finish and the approach has earned MoDOT recognition as a national leader in public involvement and several industry awards. 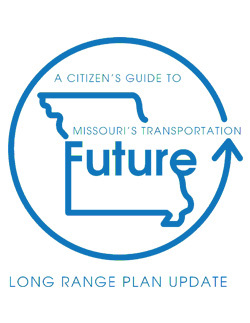 During the development of the 2018 LRTP, 7,700 Missourians and transportation planning partners across the state, provided input which will inform future transportation decisions. High Street helped Maryland DOT and their stakeholders - from the Eastern Shore to Baltimore and through to the Western Appalachians - create a forward thinking 20-year transportation plan that will help guide the state’s transportation executives manage the opportunities and threats of a changing world. 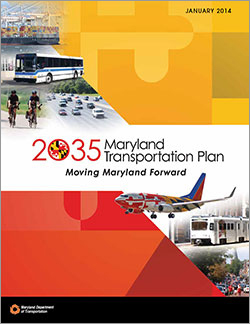 Please click on the image to read a pdf of 2035 Moving Maryland Forward Plan. To gain a clear understanding of how to integrate performance measures into the ODOT’s structure and process, High Street interviewed key ODOT staff in the core disciplines of safety, infrastructure, system operations, environment, modal planning, and asset management, and we reviewed and assessed relevant data sources to assess quantitative gaps. Based on this coordination, we focused our attention on measure definitions, methodologies, potential targets, applications, and data sources and aligned the measures with the 2040 LRTP goals and objectives to ensure consistency with MAP-21 and Oklahoma’s values. High Street supported a stakeholder-driven process to evaluate the current status and future needs of all modes of the Kansas transportation system. High Street had an instrumental role in developing a new transportation decision-making process for balancing investment in preservation and capacity needs. High Street staff also led the development of the financial forecast and funding options analysis. In a related effort, High Street provided staff support for the Kansas DOT in preparing a 2008 report to the Governor on critical transportation needs. 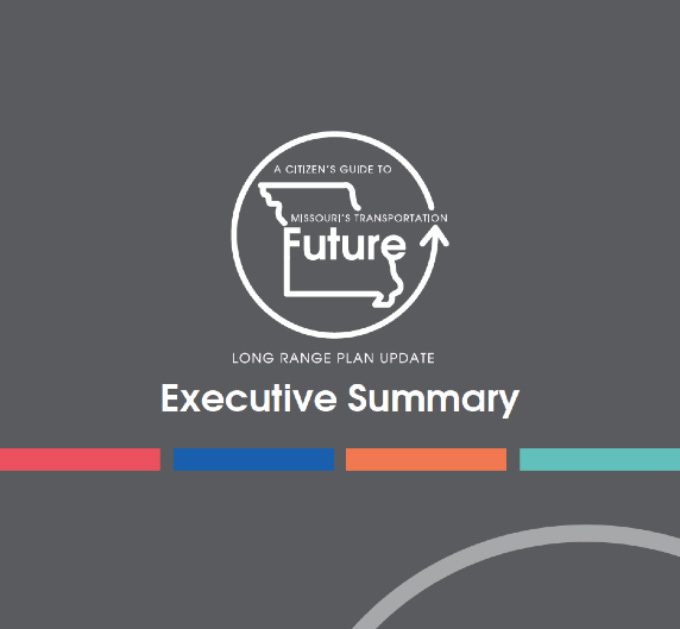 The T-LINK report provided input to the Governor and the State Legislature as they debated the focus and scale of the state’s transportation program. High Street continues to work on developing analytic tools and decision-making processes for evaluating economic development impacts and community concerns within an expanded project selection process. 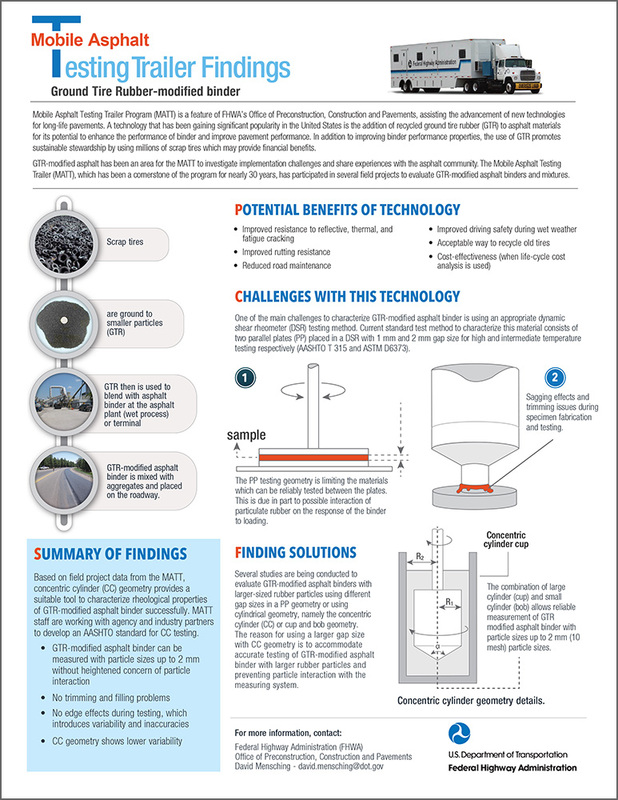 The process was pilot-tested by KDOT in the fall 2009 and is being used to evaluate about 200 potential projects annually in the development of annual transportation programs. High Street was part of the team that assisted ODOT in developing performance measures, needs forecasts, and revenue scenarios as part of the development of Access Ohio 2040. The firm also developed and evaluated investment scenarios and innovative finance strategies to support plan finalization. High Street also supported a related initiative to update the scoring system used for prioritizing major projects over $12 million. The project teams’ recommended changes enabled Ohio’s Transportation Review Advisory Council (TRAC) to better account for local economic development initiatives, investment in complementary programs, and equitable treatment of distressed areas in the project selection process. 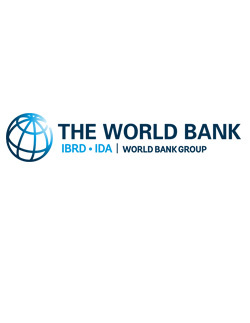 The project included national best practice research on state DOT programming processes and creation of new ways to develop and apply technical travel model and transportation performance measures within the context of an economically meaningful prioritization approach. High Street played a key support role in the development of What Moves You Arizona, a 25-year statewide multimodal transportation plan for Arizona. 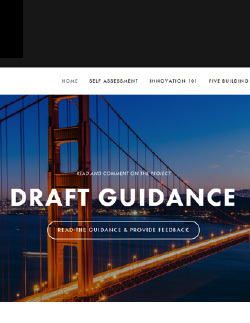 The project included visioning, creation of a planning framework and process, revenue forecasts, needs determinations, scenario-building, and identification of alternative investment choices. It had a heavy performance measures component, which will help drive ADOT’s capital programming process and will be a key consideration in this project. High Street led the creation of goals, objectives, and performance measures to both drive plan development and support its implementation. 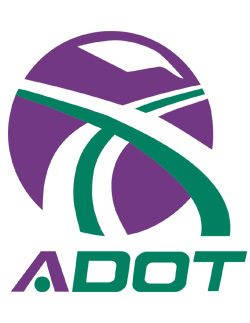 The firm also conducted a diagnostic review of ADOT’s current programming processes, provided recommendations on to better link planning and programming, and supported development of both investment scenarios and financial forecasts. High Street provided ten-year forecasts for the state-of-repair for assets in Dominica including pavement, bridge, culverts, earthworks, and road furniture. An app was created that displays future asset conditions. 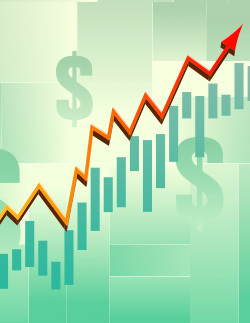 The app allows users to determine the total budget and the budget for each asset type. Results are updated based on budget. 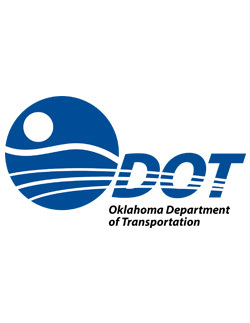 High Street used data to find over $50 million in cost savings for Oklahoma DOT (ODOT) by identifying projects with low performance impacts due to over-scoping. In the past, ODOT would take departmental project requests and try to divide up the resources with as much equity as possible between the regions. 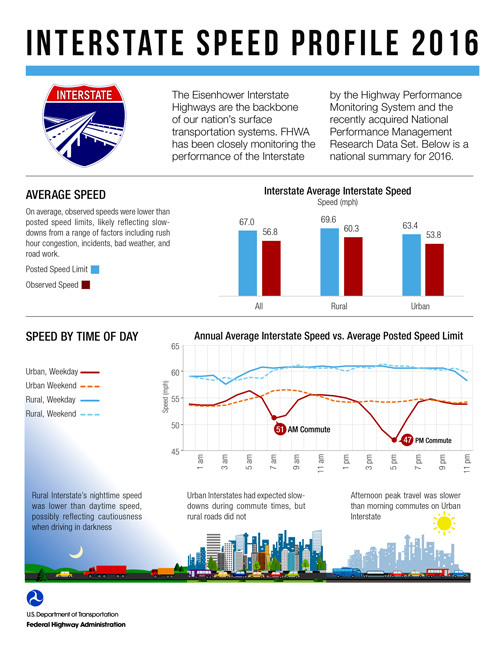 When ODOT’s programming team asked High Street to evaluate the underlying data in order to make more informed decisions, the impact of one policy became very clear. 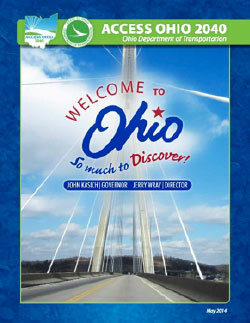 What High Street found was that ODOT had a tendency to try and update one major corridor every couple of years. But in so doing, they were reconstructing several miles of pavement that were still in a good state-of-repair. While it was simpler to manager corridors in this way, what they decided to do was to re-scope the project to only fix the problematic areas and use those additional resources to fund other areas of deficiency. 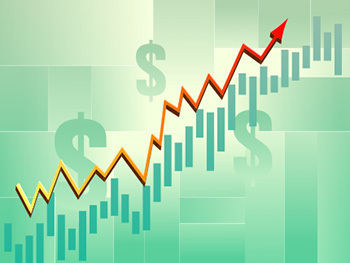 Comparative benchmarking is a powerful performance management strategy, but requires both effective processes and tools. 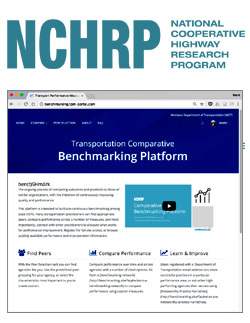 To equip NCHRP research users with a great benchmarking tool, High Street created the TPM Benchmarking Portal. 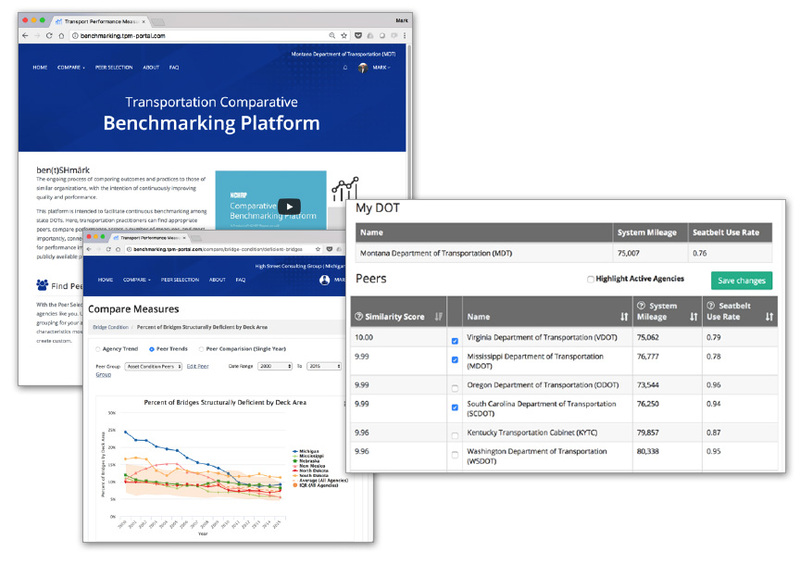 The web-based tool provides a robust platform for state DOTs to perform benchmarking, including functionality to quickly and easily define meaningful peer groups, compare performance, and share insights and noteworthy practices. The platform includes a complete administrative back-end, allowing the non-technical platform administrator to create new measures, manage permissions, and maintain benchmarking data. 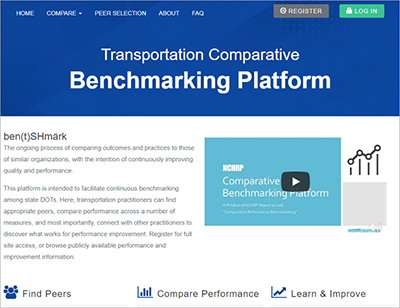 Explore for yourself at [http://benchmarking.tpm-portal.com]. 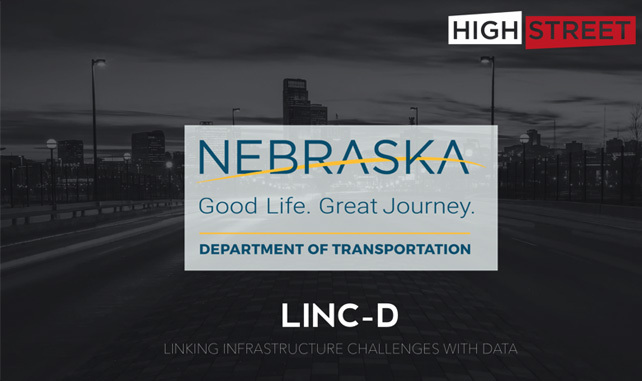 Under this groundbreaking initiative, High Street is helping Nebraska DOT meet pressing operational challenges by marrying Nebraska DOT's data with advanced statistical, machine learning, and visualization techniques. 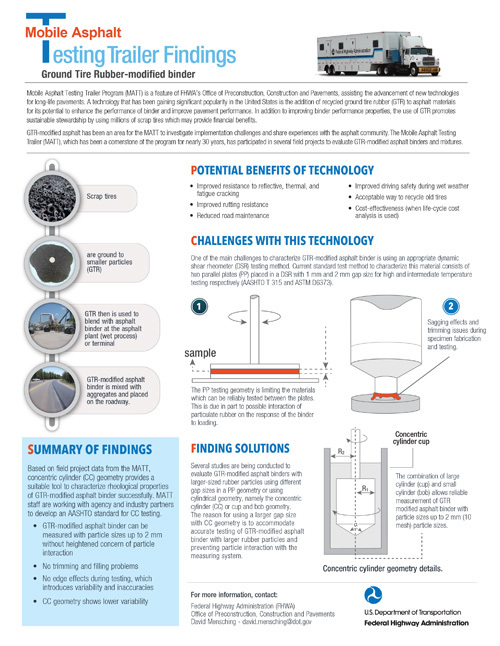 Through this engagement, High Street has helped NDOT measure the effectiveness of its materials testing and contractor incentives policies; design lettings that attract more bidders; and better understand the complex relationships between traffic volumes, design standards, and pavement deterioration rates—all through agile, iterative, and highly cost-effective tasks. 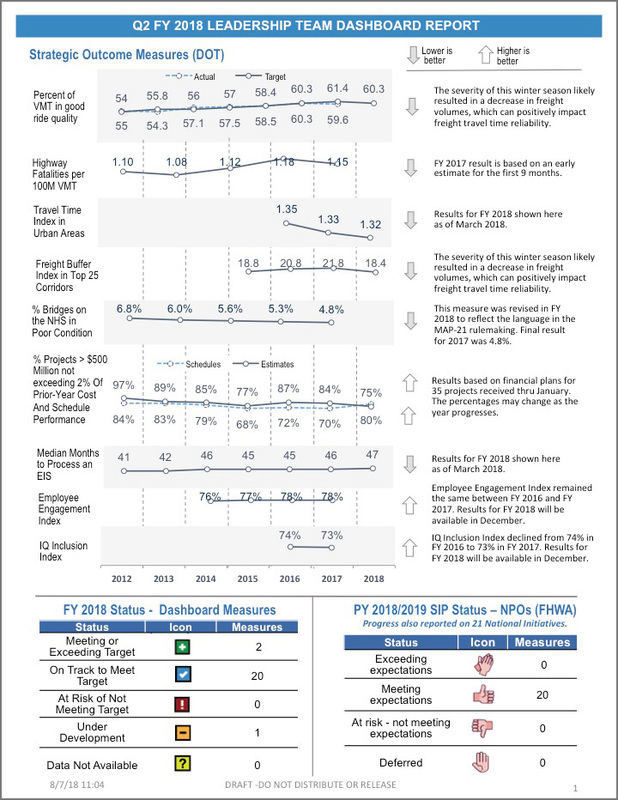 Tasked with developing performance targets for new federal performance measures with limited historical data, MDOT SHA turned to High Street for support. 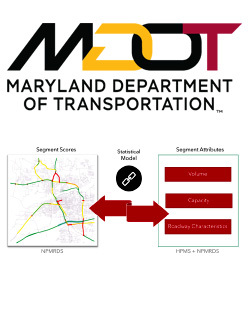 Through an active collaboration, High Street developed and implemented a segment-level reliability forecasting model to forecast future performance with respect to Maryland's expected growth in traffic volumes and programmed capacity and ITS improvements. 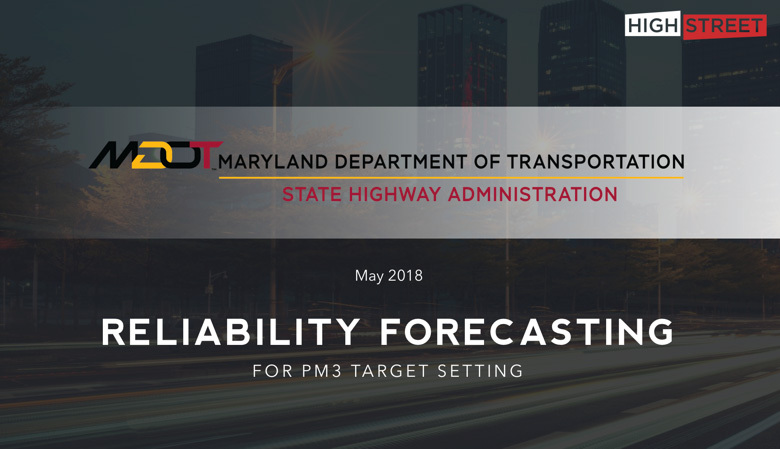 The resulting forecasts provided a basis for MDOT SHA's PM3 performance targets, while simultaneously demonstrating the performance impacts of MDOT SHA's investment program. The methodology provides both a forecasting tool, and a tool for evaluating project-level performance impacts. High Street served as external management and policy advisors to the MDT director and deputy director. 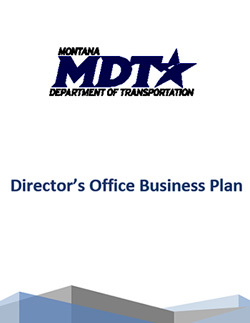 Activities included interviews with MDT senior staff to identify strategic, organizational, and administrative issues, planning/facilitating annual leadership team and bureau chief retreats, facilitating the development of unit business plans, and research on various management topics such and enterprise risk management and DOT administrative budgeting practices. 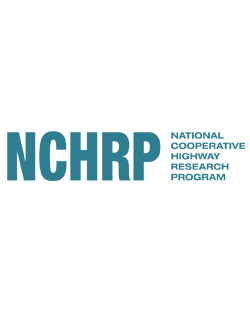 High Street’s report for NCHRP on alternative organizational models for state DOTs provided a big picture snapshot of why and how DOT leaders are re-designing their organizations. 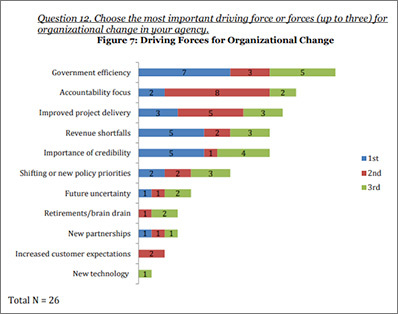 It includes a discussion of the primary drivers of these changes, characterizes the current state of DOT organizational design, describes the prominent organizational adaptations DOTs are making or plan to make, presents a new organizational ideal for DOTs, and offers observations about key success factors for initiating meaningful organizational change. 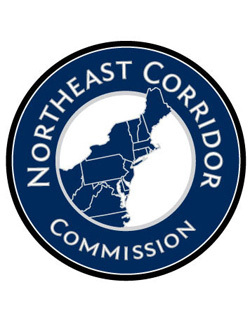 High Street provided support to the Northeast Corridor Commission (NEC) executive committee and agency senior staff to help them identify and address organizational, institutional, and procedural issues that create barriers to greater NEC success and productivity. 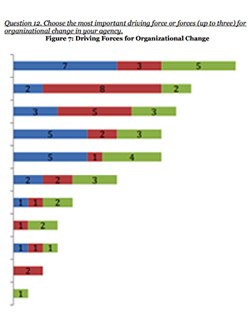 The effort has included developing a diagnostic review of current organization business processes and facilitating a series of retreats to revamp several key agency decision-making approaches. 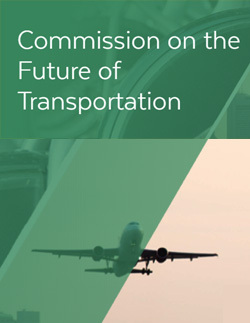 High Street helped support the Governor appointed Commission on the Future of Transportation in the Commonwealth of Massachusetts to develop recommendations on transportation policy across the state in response to disruptive changes like electrification, an aging population, and autonomous vehicles. The consultant team used information about key ‘driving forces’ as building blocks for a set of distinct stories that distill voluminous data into a digestible set of plausible directions the future might take. High Street conducts financial capacity assessments on FTA Capital Investment Grant (New Starts, Small Starts, Core Capacity) projects including the evaluation and rating of the project against the grant program’s financial criteria. 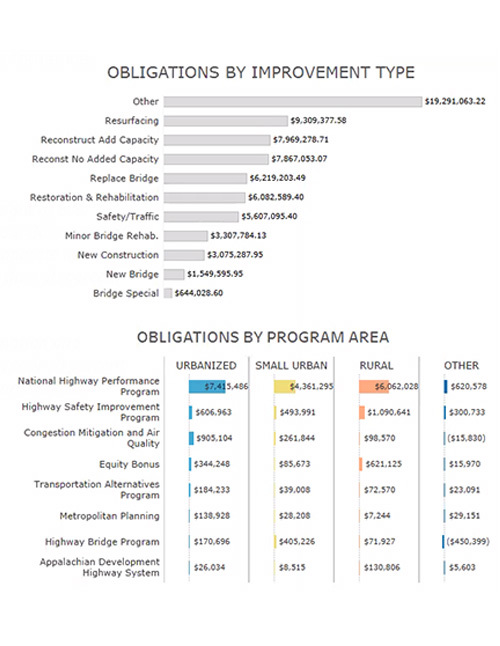 Through review of the applicant’s financial plan and models for the proposed project, system operating and capital budgets, annual financial reports, and other documents, High Street analyzes the ability of the applicant to deliver its non-federal share of funding, operate and maintain its core transit services, and complete project construction by the revenue operations date, including cash flow and timing of receipt of funds. Projects for which High Street has completed assessments include Orlando SunRail, Boston MBTA Green Line Extension, San Diego MidCoast Corridor, Fort Worth TEX Rail, Arlington Columbia Pike Street Car, Santa Ana OCTA Streetcar, Chicago CTA Red Purple Line Modernization, Durham and Orange Counties GoTriangle Light Rail Transit, and Indianapolis Bus Rapid Transit. 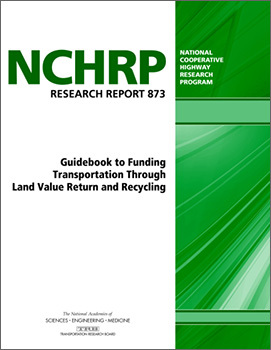 High Street played an integral role in the development of TRB's NCHRP Research Report 873: Guidebook to Funding Transportation Through Land Value Return and Recycling. The Guidebook presents guidance on ways to mobilize some portion of property-value increases to fund maintenance and operations as well as investment in the infrastructure. Local government typically has authority to deal with matters related to land use and land-related revenue-generating mechanisms, therefore access to land value return and recycling—a subset of real estate–based value capture methods—may require enabling legislation or partnering with local agencies. This report includes examples of applications of land value return and recycling as well as model legislation and institutional structures to facilitate the strategy. 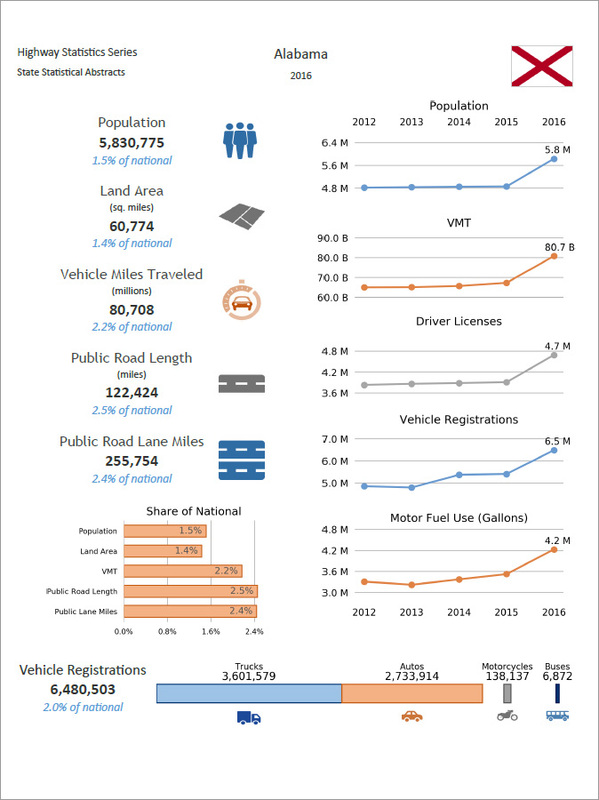 High Street develops long-range revenue forecasts for the state DOTs and MPOs which include all sources of transportation revenue and take into account projected changes in demographics, driving behavior, vehicle mix, and fuel efficiency standards and region-specific factors. The forecasts evaluate scenarios of existing revenue sources as well as potential new or increased revenue sources and other funding options. 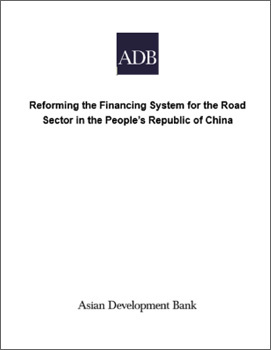 Each client’s preferred use and approach to debt financing also is factored in to analysis of the available resources for transportation investment. •	Development and application of performance management practices in the sector. 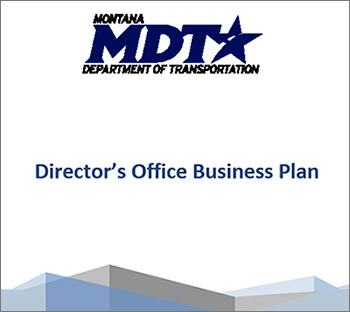 High Street supported the Director’s Office Business Plan for Montana DOT, which included facilitation for the office’s vision, goals and strategies. High Street helped maintain continuity between the Office Business Plan and MDT’s 20-Year Plan, Financial Status Reports, and their Agency-wide IT plan. 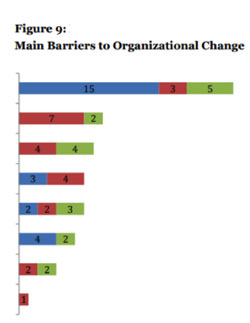 High Street interviewed industry leaders in innovation and synthesize their finding in an online report, NCHRP 20-108 Effective Practices for Creating and Maintaining an Innovation-Delivery Culture within Departments of Transportation. 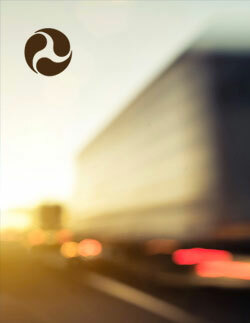 The report is a guidebook that features a set of practical tactics that encourage department of transportation employees to remain inspired and empowered to innovate. Included in the guidebook is a self-assessment to help DOTs determine where their agency falls in the continuum of innovation efforts, a getting started guide to help jump start your efforts, and an examination of the five building blocks to build and sustain a culture of innovation.